Modern Farmhouse (Sold): 3 bd, 1.5 ba farmhouse, 3 outbuildings, 10 acres. $399,000. — Country House Realty: Fine Catskills and Upstate New York real estate, including Sullivan Co. and Ulster Co.
PRICE REDUCED - Absolutely fabulous modern renovation of a 1930's farmhouse on a bucolic 10-acre former gentlemen's farm. 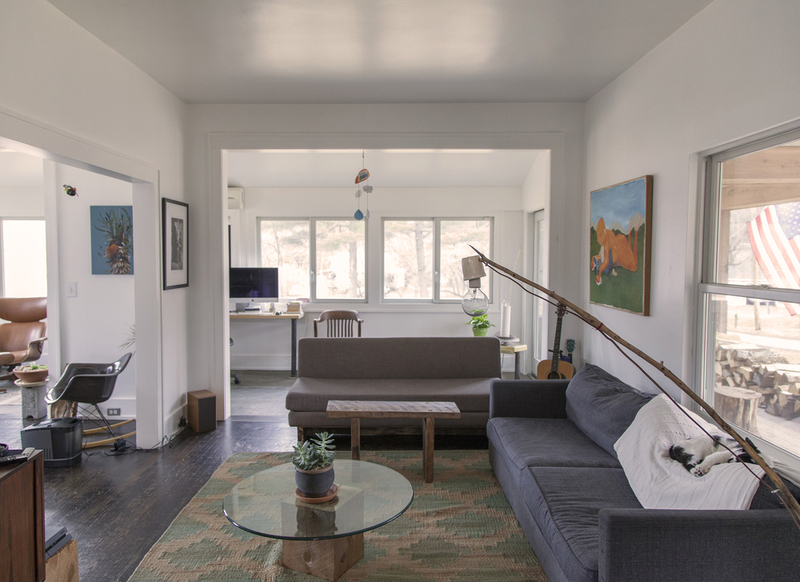 The compound is anchored by a thoughtfully renovated 3bd, 1.5 ba two-story farmhouse, its original footprint expanded with a fully insulated sun room and a massive rear deck with stadium steps that cascade into the yard and toward three outbuildings. 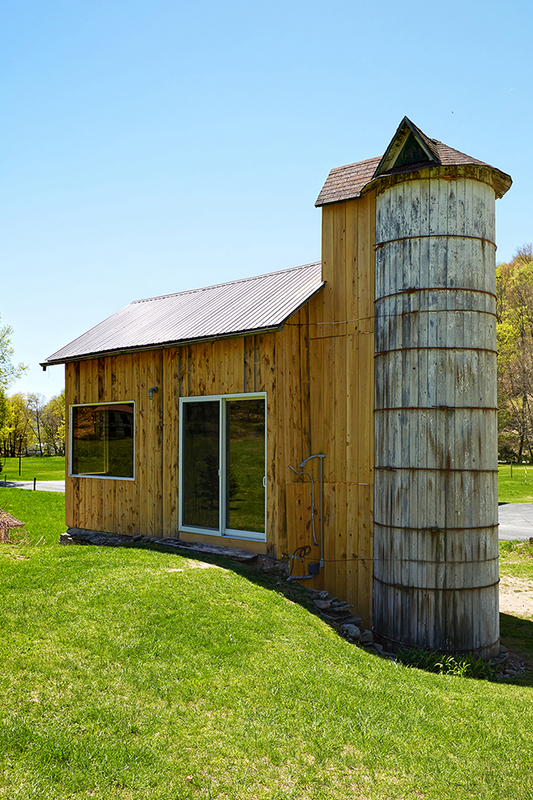 In 2009, the current owners re-clad the exterior of the farmhouse, and later the barn studio, with local hemlock, which has started its aging process toward a gorgeous, silvery gray. 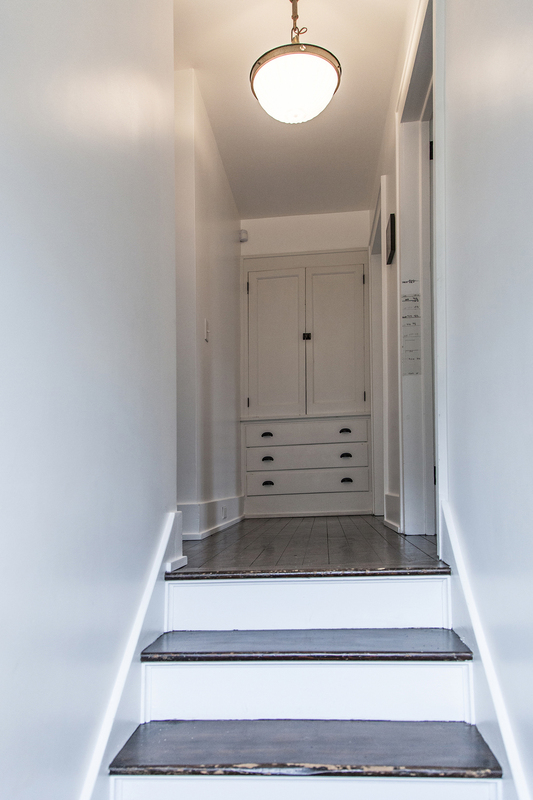 Enter the house in any one of three ways: from the covered front porch into the living room; the mud room into the kitchen or basement, or from the doors off the huge rear deck, perfectly balanced by long and wide stadium steps and a modern portico. Once inside, the main floor has a zen flow of white walls, wood and bluestone tile floors, and, perhaps best of all, tons of custom windows - including 6 sets that line the insulated sunroom. 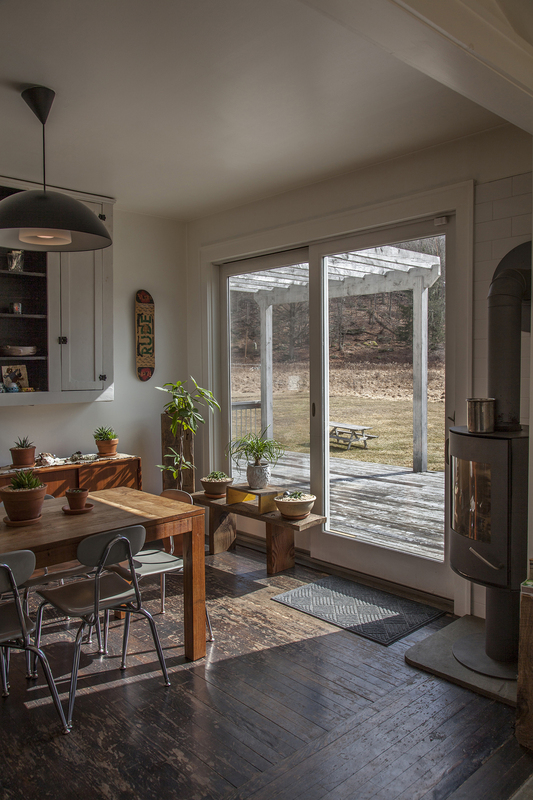 Whether you are seated in the living, dining or sun room - or standing in the farmhouse kitchen, everywhere there are peaceful views of Sullivan County sky, water, woods and mountains. 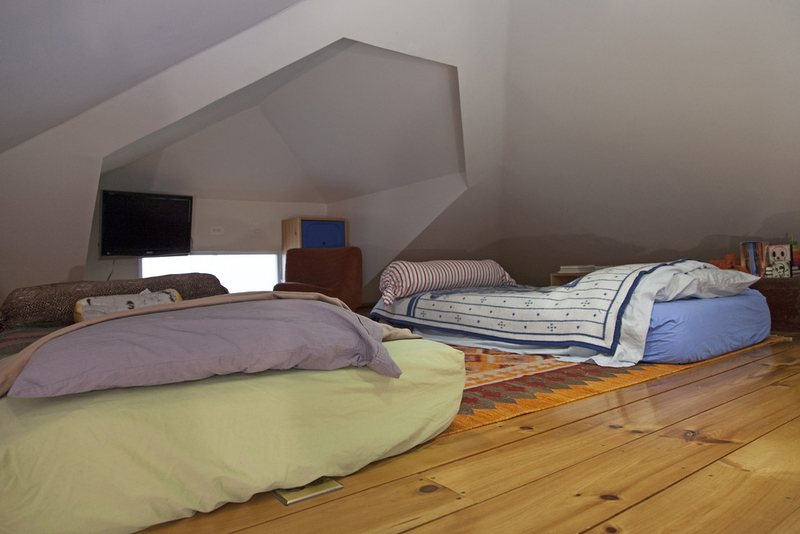 Upstairs is no different - two windows in each of two large bedrooms, plus a big picture window in a third duplex bedroom, customized with an attic loft playroom for the owner's kids. There's one lovely and large bathroom upstairs, and a second half bath down. From the rear of the Farmhouse, looking toward the 10 acres, the Barn Studio is on the right, the Coop is to the far left, and a little farther ahead, the Lakehouse borders the newly enlarged swimming pond. 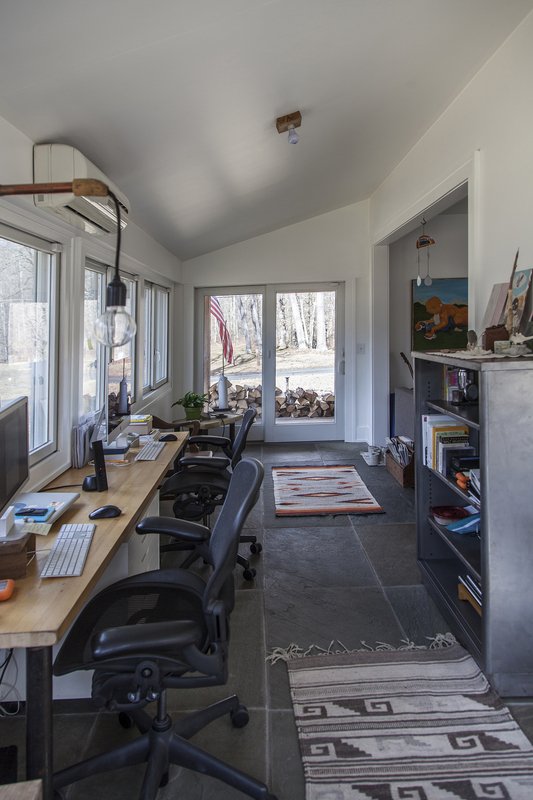 The barn studio is fully insulated and has electric, heat and killer internet (excellent wifi extends throughout the property). 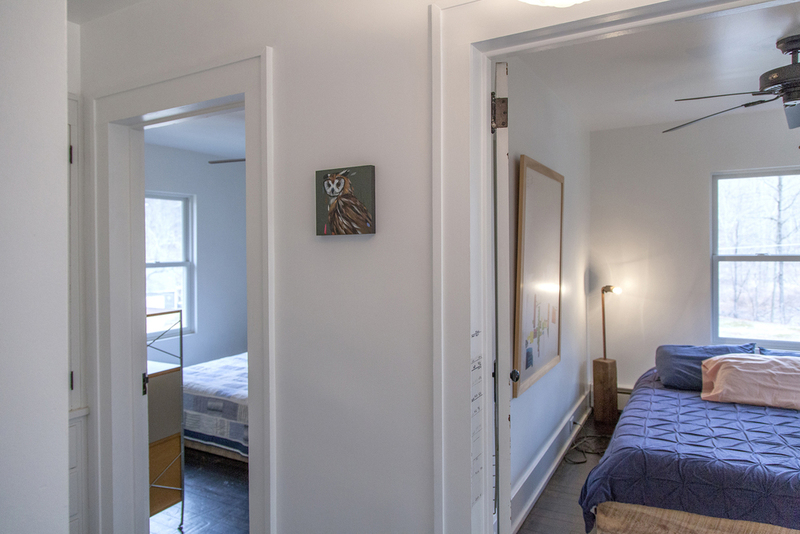 Presently serving as a digital arts and photography studio, the studio could easily convert into a stunning guest house, complete with single car garage. 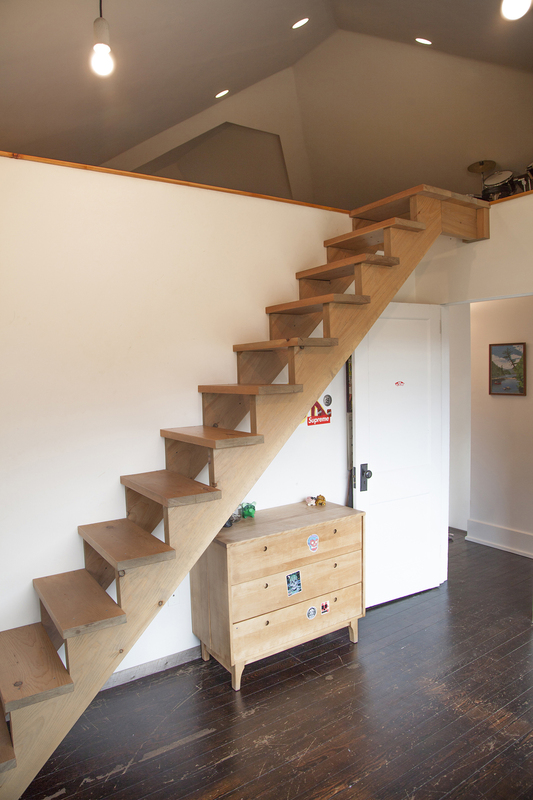 In 2011, the current owners lifted the entire structure and rebuilt the stone and concrete foundation, reclad the exterior in hemlock, and created a Dwell-worthy interior that's both work-time serious, and super fun. Both the Coop and the Lakehouse are original structures from the early farm - the Coop is currently used as a wood shop and art studio. For someone interested in expanding the vision of this unique and tasteful homestead, these two buildings are gold. Add to all of this: the house has been hugely successful as an AirBnB rental for those looking to capitalize on the area's booming vacation rental market. The township of Hortonville is centrally located to the area's main attractions: There are two fishing access points to the Callicoon Creek just several minutes walk from the property. Most everything else is a 10-15 minute drive including the Delaware River and Crystal Lake, a favorite swimming hole. For dining and shopping, it's 15 minutes from the hip town of Narrowsburg, and Livingston Manor, the birthplace of fly fishing, is a scenic 15 minutes away. The Bethel Woods concert venue is 20 minutes. The nearest town is the river hamlet of Callicoon, just 7 minutes drive. It's home to several restaurants and cafes, as well as a quaint movie theatre, the county's best farmer's market, a bowling alley, and the youth center playground.